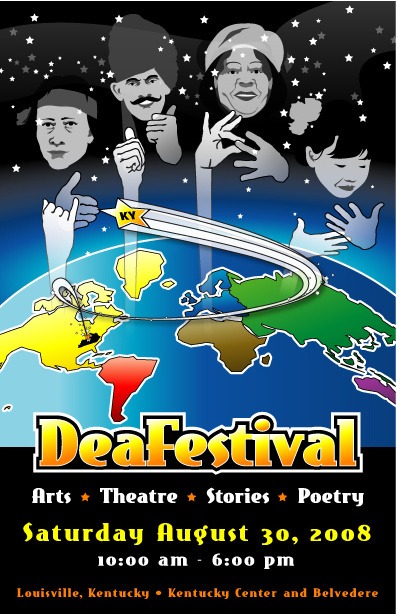 What is the Knowledge Center on Deafness? 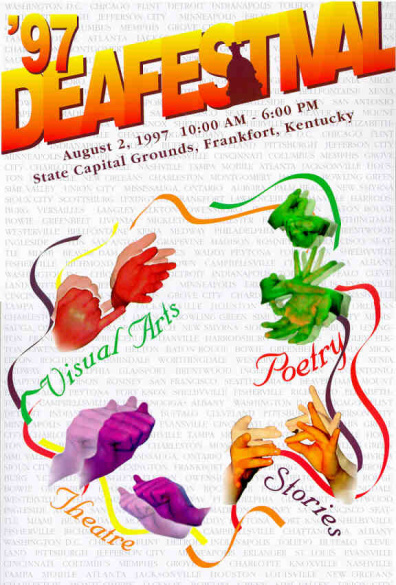 In 1996, the Kentucky Commission on the Deaf and Hard of Hearing (KCDHH) staff realized that a partnership with a private entity was needed in order to capitalize on available private and public funding to further enhance programs to serve the deaf and hard of hearing population of the Commonwealth. 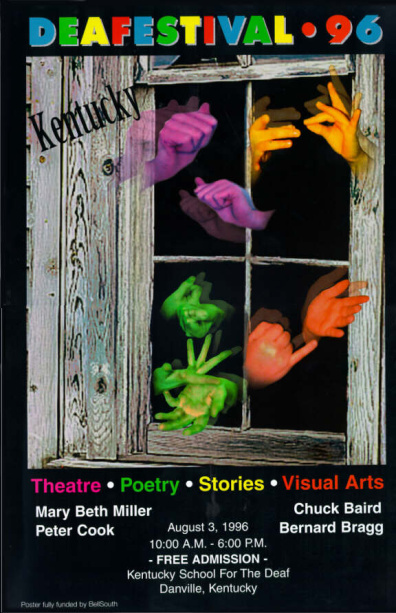 In some cases, additional funding is needed to firmly establish programs that have not been fully realized by the Commonwealth of Kentucky. 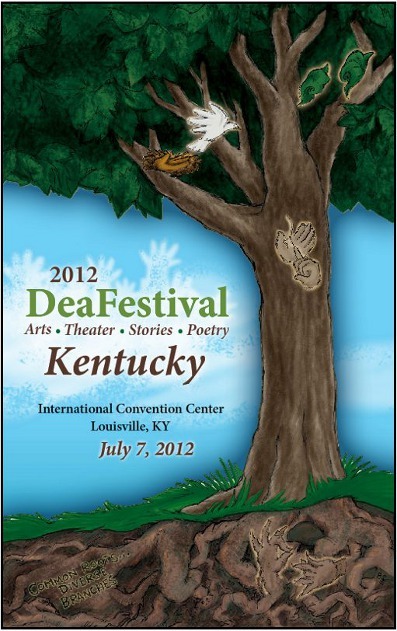 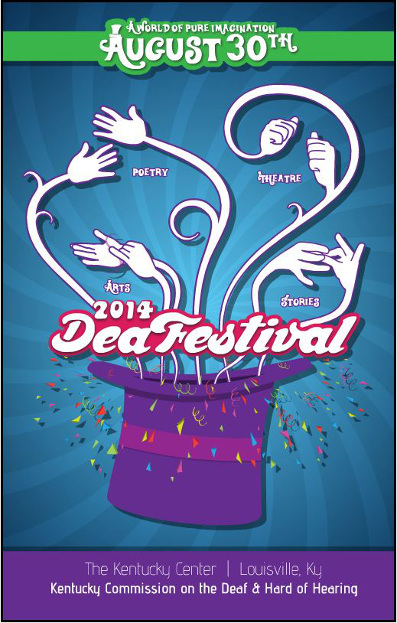 Historically, the KCDHH has enjoyed a close relationship with the Kentucky Association of the Deaf to implement innovative programs such as DeaFestival-Kentucky. 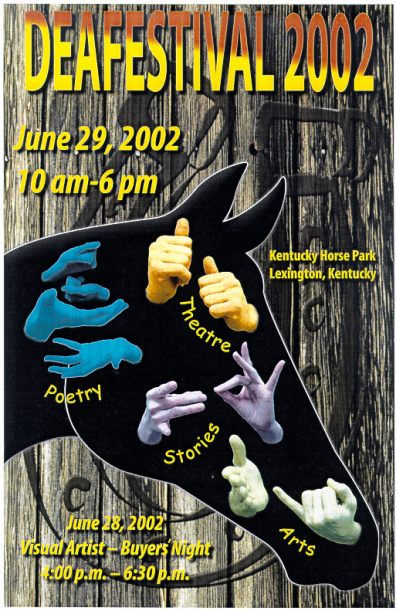 However, it is apparent that the Kentucky Association of the Deaf does not focus on direct services because it is a membership-based organization; therefore, there is a need for an entity dedicated solely towards the development, funding, and implementation of programs to serve deaf and hard of hearing Kentuckians. 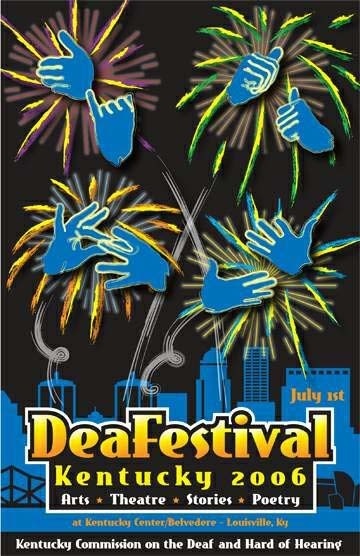 To be responsive to the needs and concerns of the KCDHH and members of the deaf and hard of hearing community. 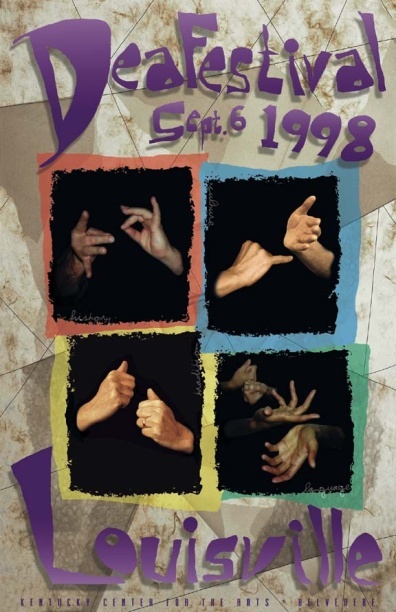 What is the focus of the Knowledge Center on Deafness, Inc.? 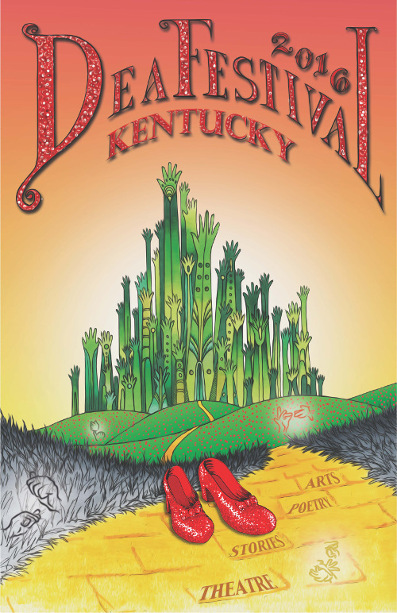 To establish a permanent endowment fund and implement it to support KCD's future events. 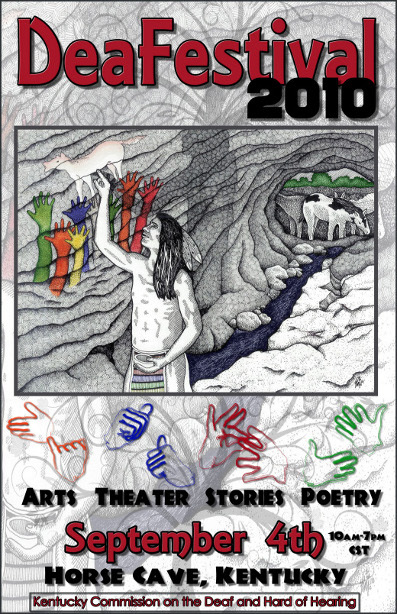 What if I need more information or have other questions? 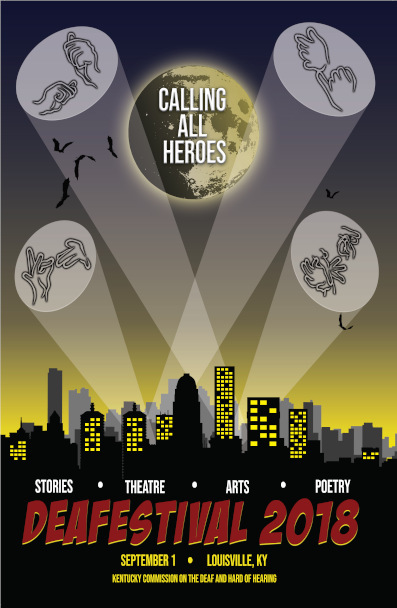 Hover over a poster image to view a larger version.